Here are some of our favorite images from the Anniversary photo session we did at the end of August. Take a peek inside the beautiful new chapel at Hyatt Regency Albuquerque Downtown. 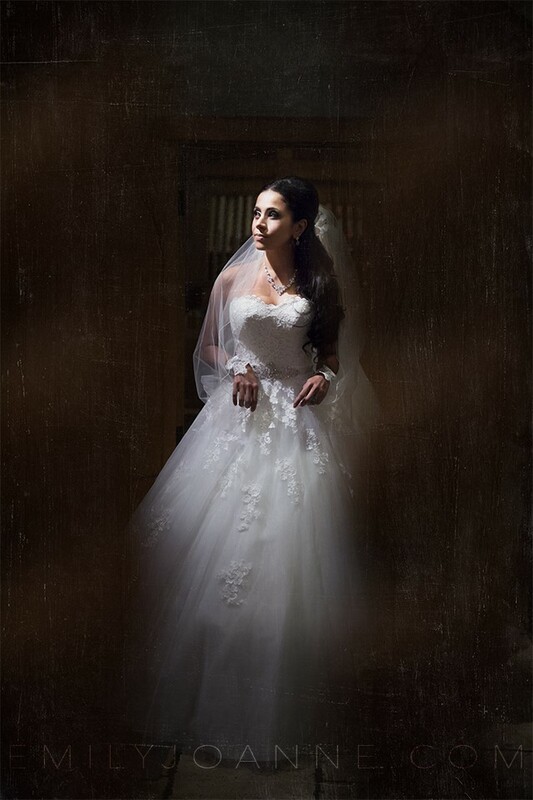 Photos by Blue Rose Photography. Flowers by Albuquerque Florist, Inc.. Styling by Lauren, owner of Just Lovely Weddings. 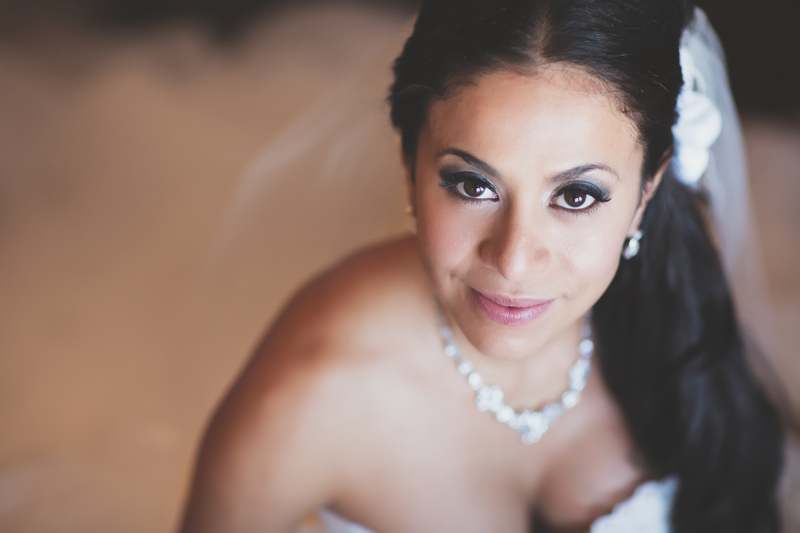 Makeup & Hair by us – C. Johnson Makeup. Groom’s attire by Suits Unlimited Models: Emilia and Konrad. We had the crazy fun opportunity to do something we absolutely love – our take on 90’s hair & makeup (I’ll never not feel like the 90’s were only a few years ago </3 ). Haul!!!! 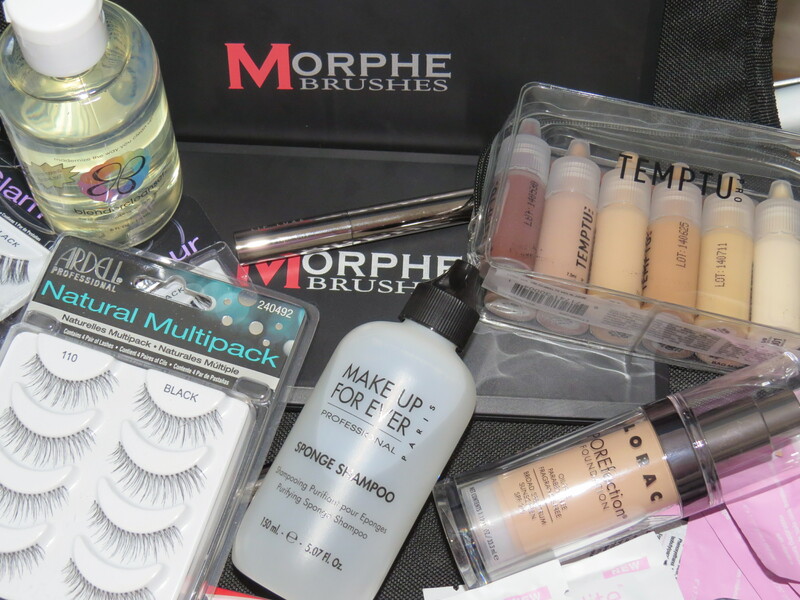 I recently restocked some staple makeup items & also got a handful of new products to try out (I can never resist!). 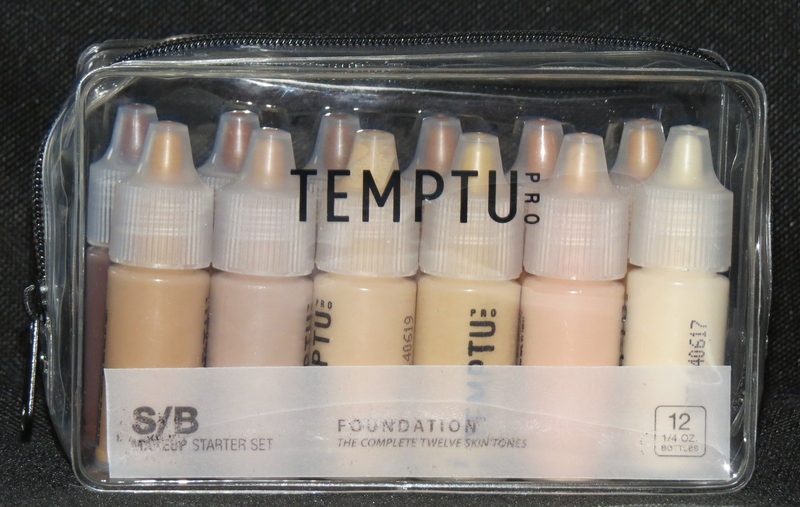 Temptu Pro Foundation S/B Makeup Starter Set This is a versatile set with 12 foundation shades with what looks like a good variety of cool, warm, & neutral tones; with this amount of variety they are very easy to custom blend for the perfect shade for any client.. The bottles are only 1/4 oz. 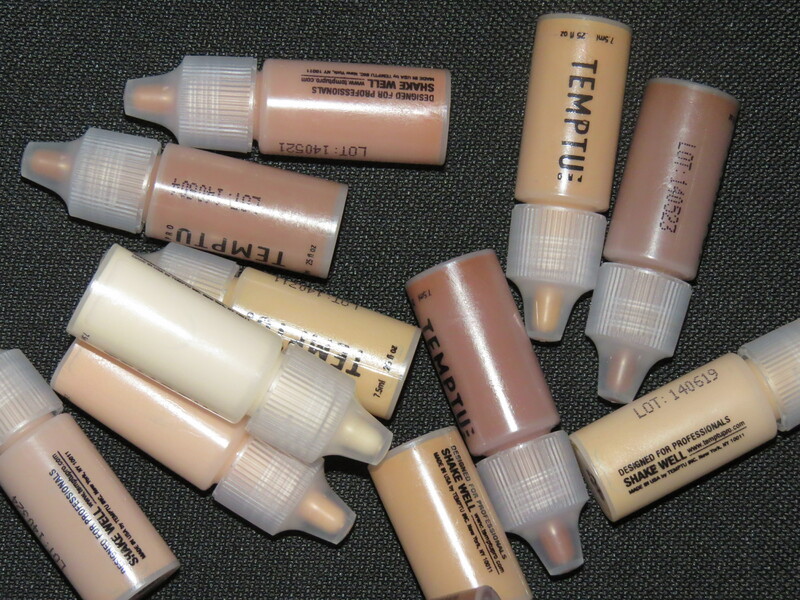 each, however when it comes to airbrush foundation, this is sufficient for many, many makeup applications. 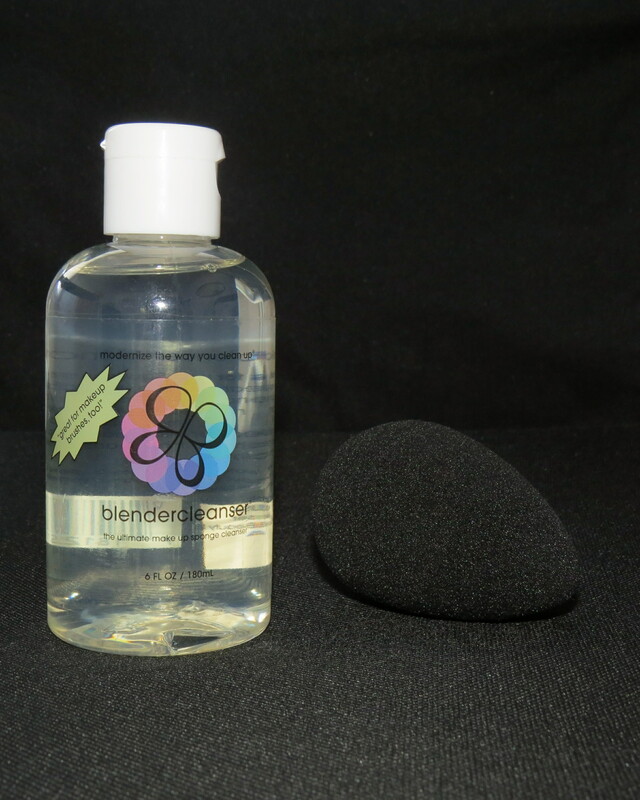 Beauty Blender Sponge Cleanser (blendercleanser) This cleanser smells like lavender essential oil, however the bottle lists “fragrance” as an ingredient, so changes are it is artificial. The bottle also says that it is great for makeup brushes, however I recommend against using brush shampoo because the amount of water needed to get all of the shampoo out of the brush will inevitably cause the glue in the handle to fail & ruin your brush. (I suggest using an alcohol based spritz cleaner/sanitizer instead). This cleanser works very well & gets sponges clean almost immediately. It doesn’t suds up, so it rinses out very easily. The only drawback is that the lavender smell is noticeable even after the sponge is clean, & I worry that it may irritate some clients (although probably not many). 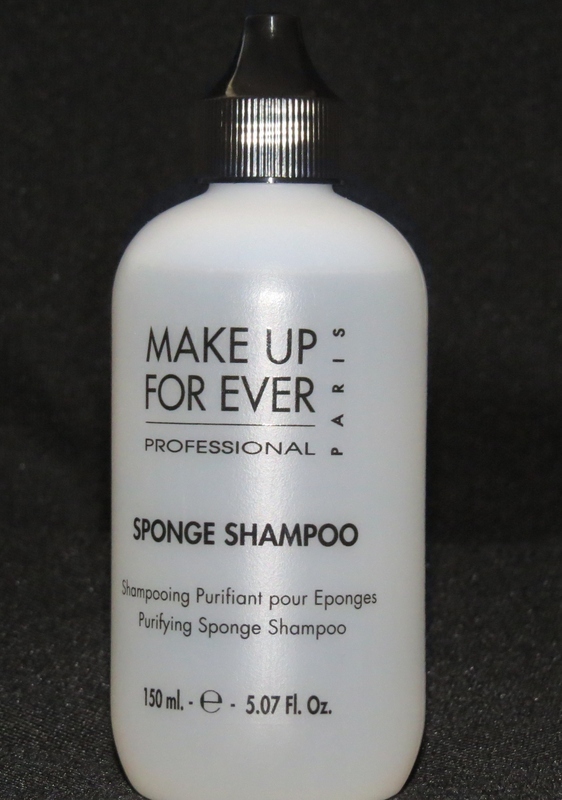 Make Up For Ever Sponge Shampoo The bottle makes a compelling sales pitch about using natural mint oils, & even though it does contain some spearmint leaf extract, the second ingredient listed is Sodium Laureth Sulfate, so it can’t be that gentle on delicate makeup sponges. The fragrance is very light which is nice because some clients can be very sensitive to the smell of makeup products. This cleaner works exceptionally well, getting sponges looking like new very quickly. However, you do have to use A LOT of this cleanser to clean the entire sponge thoroughly. It gets moderately sudsy & is very difficult to rinse out of the sponge completely, which is concerning because Sodium Laureth Sulfate can be VERY irritating to most people’s skin. The scent is extremely light after being rinsed. 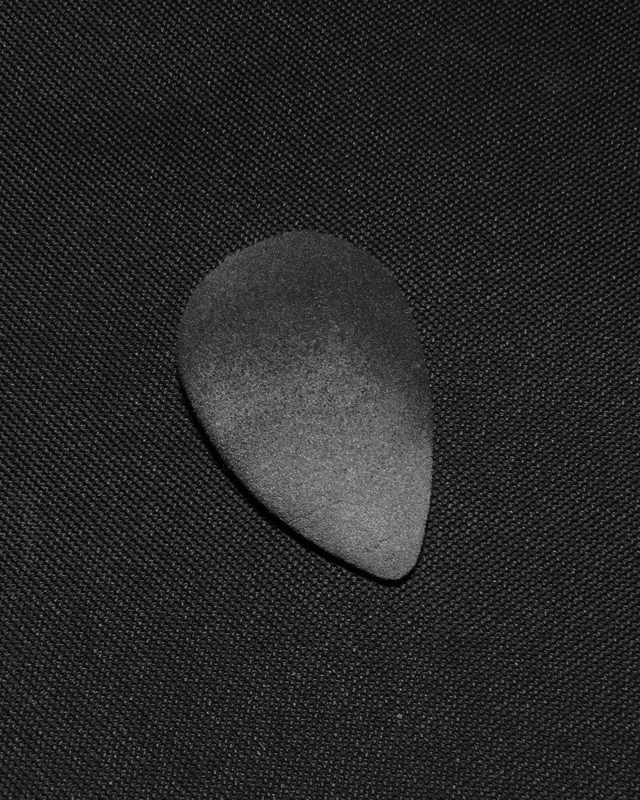 In the future, I will be purchasing the Beauty Blender Sponge Cleaner instead of this product. 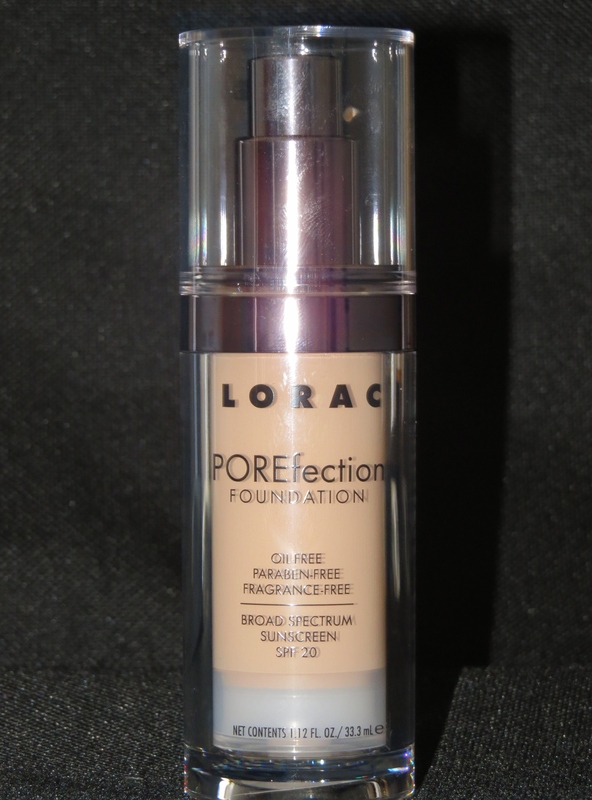 LORAC POREfection foundation This product is oil-free, paraben-free, & fragrance-free, which I love. I am a huge fan of their original foundation formula so I thought I’d give this one a try as well. This foundation does contain SPF 20 though, so I am concerned about ‘flash back’. I’ll keep you posted as I continue to use it. Overall, it is very smooth & easy to move around with a sponge or brush, which means that it must be set well with plenty of setting powder. LORAC Lip Luxe 8 hour lip color. I purchased this item in the shades “Orchid” & “True Red”. 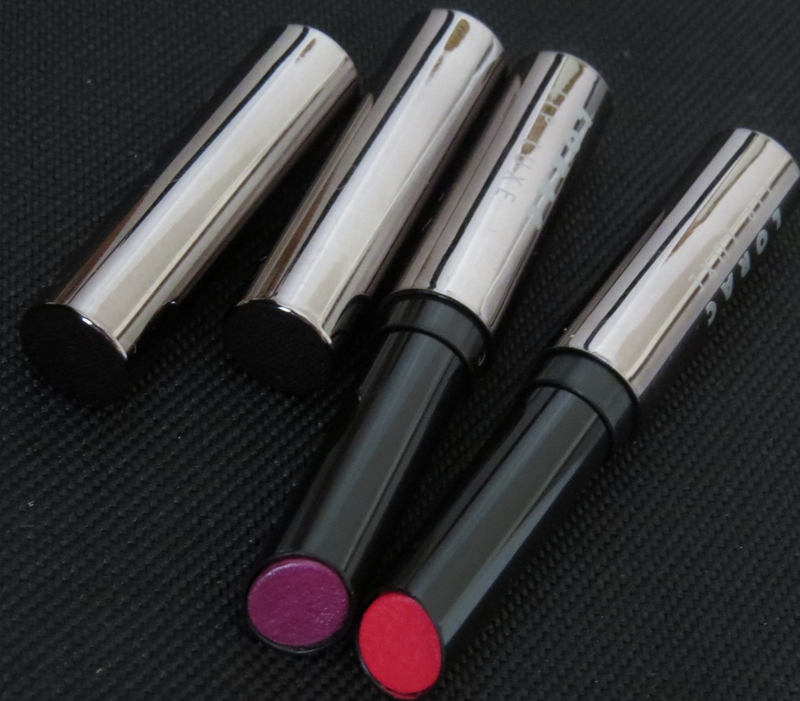 Lorac offers this lipstick in six shades total so it isn’t the most versatile line of lipsticks however these are VERY pigmented & packed with bold color. They feature an understated glossy sheen with a significant stain quality. 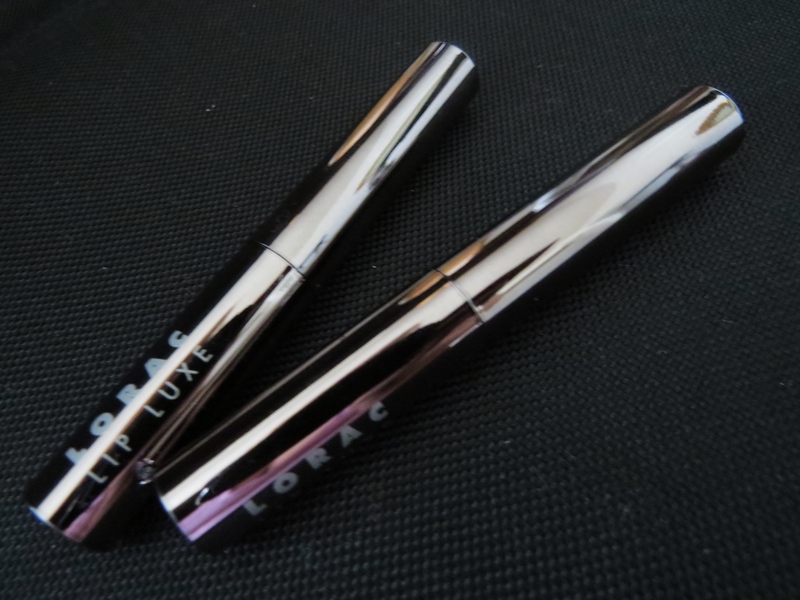 The texture is very nice; it doesn’t harden or get sticky like a lot of other long-wearing lipsticks. This means that the glossy, high pigment lipstick quality will fade leaving behind the appearance of a stain. Chances are, this lipstick will smudge, smear, or transfer as well. 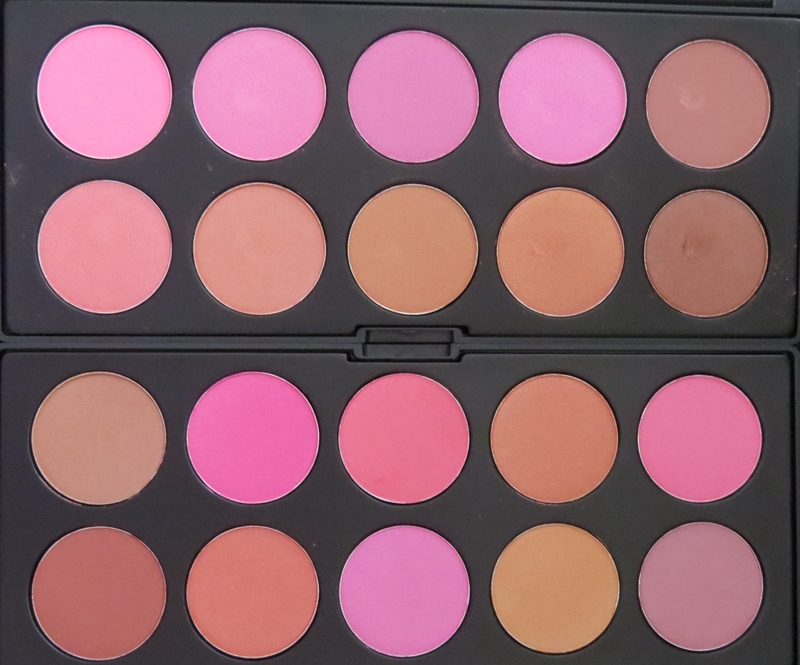 Morphe Blush Palette 10B & Morphe Blush/Bronzer Palette 10D. They both have that unfortunate “cheap makeup” smell when you first open the package which I personally find off-putting, but I think I paid $11 each, so I really can’t complain that much. The colors are vibrant & well pigmented, however they seem to fade easily & will require a makeup setting spray or good primer to stay on for a full day. My other complaint is that is appears that many of the shades are duplicated throughout the palette & there isn’t as much variety as I would have expected from a 10 shade palette (particularly when talking about the blush palette- 10B). There is a variety of matte/shimmer options, however there seems to be no rhyme or reason to this… some are shimmery, some are not. The bronzers are pretty, however I am afraid many of them may be too “orangey”. Overall, I think there are only 3 or 4 shades between the two palettes that I might use regularly. I’d recommend these to anyone just starting out with makeup & not wanting to invest too much money, but I wouldn’t recommend them for professionals. 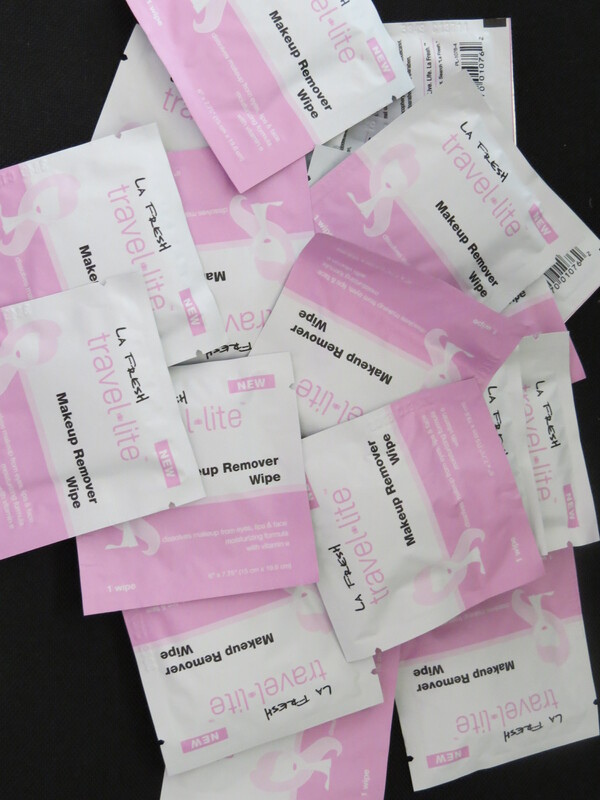 LA FRESH Travel Lite makeup remover wipes. I used this to wipe off all of the makeup I swatched all over my arms for this post & they work well. They leave a soft feeling, but no greasy feeling or residue. They aren’t very moisturizing, but they also aren’t drying. They contain mineral oil, but also Isobutylparaben which kind of negate each other as far as moisturizing/drying & unfortunately it is in the paraben family which are known to be potentially unhealthy, disruptive to human hormone levels, & skin irritants. The wipes do smell a bit like baby changing wipes, which I find unappealing, but I know most people don’t really mind. They only makeup the wipe didn’t easily remove was the LORAC Lip Luxe 8 Hour Lip Color, it left only a minor remnant of the stain, so that’s pretty darn good. The single wipe packets are very convenient & easy to stash in the car, purse, backpack, pocket, wallet… where ever. Ardell Invisiband Wispies, Ardell Natural #110 : I am a fan of Ardell lashes & have been for quite some time; the band is flexible, so they fit snugly against the lash-line no matter how curved the eyelid is (just bend them a while before application). 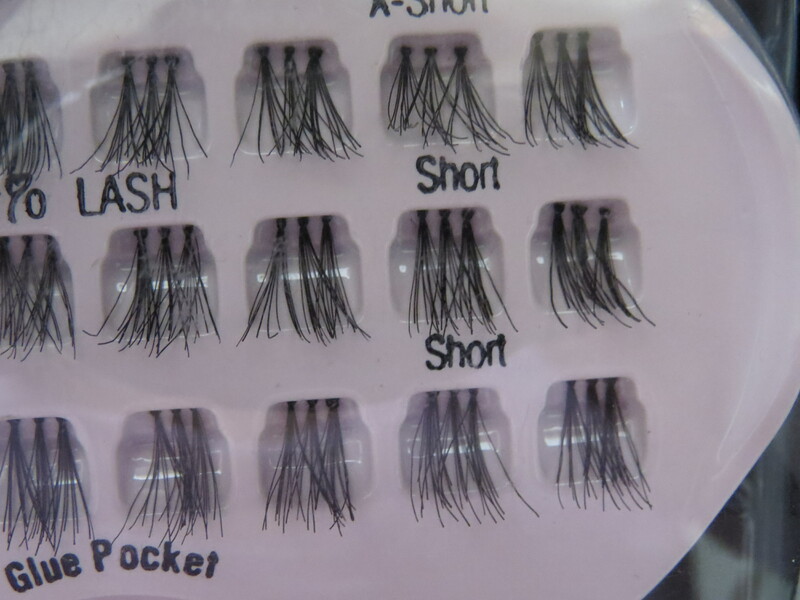 These lashes (particularly the #110’s) look nice & natural, not shiny or plasticy. I personally find them easy to wear (however some people find them to be too heavy & distracting. This is usually an issue with strip lashes in general, though, not this brand specifically). The Wispies are some of the more dramatic lashes I use regularly & are great for clients who are looking for a more ‘glam’ look, but not too over the top. KISS EVER-EZ Lash #11, KISS EVER-EZ Lash #03, KISS EVER-EZ Trio Lashes: I’m not as familiar with this brand as I am Ardell, however, so far, I’m happy with these. 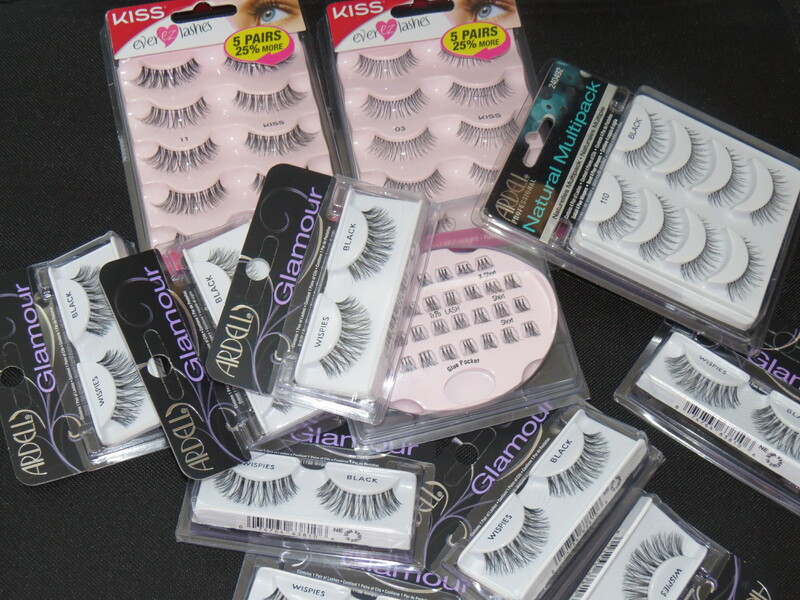 In general, I would say they’re very similar to the Ardell lashes. 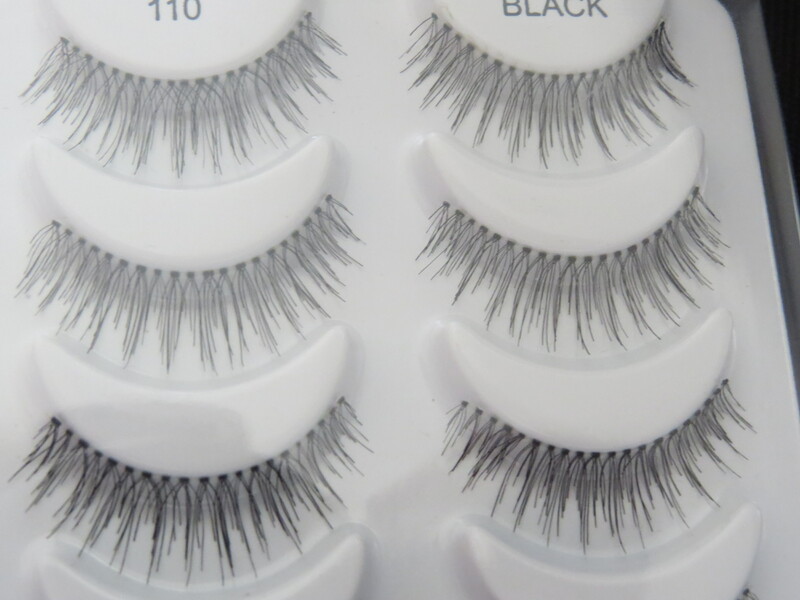 The #11’s are similar to the Ardell Wispies, but are very dramatic & will probably only work on clients with large eyes. The #03’s are very similar to the Ardell 110’s & are going to work on just about everyone for a natural eyelash definition. 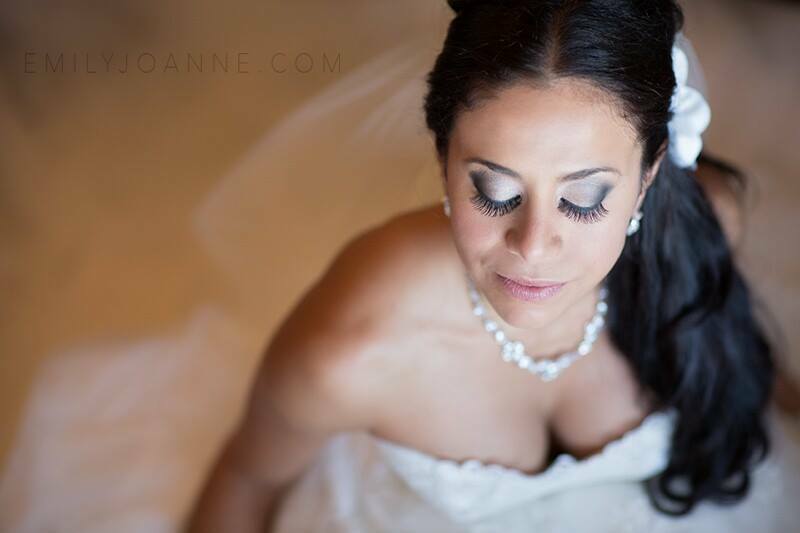 Finally, the Trio Lashes are nice for clients who have a hard time wearing full strip lashes. I haven’t had anyone mention any kind of discomfort with them yet. On a side note – I generally stick to using individual lashes because it completely avoids the issue of discomfort & they can be customized for as natural or dramatic a look as the client wants. Have you tried any of these items? Am I missing out on any awesome products? Disagree with my comments? Let me know!